Over the last year, Avery WePrint has been proud to support Handmade Hour where we’ve seen so many different businesses owned by talented and creative people. Social media is full of gift ideas and inspiration right now but as an organisation that supports small businesses right across the UK, we are encouraging you to support local or handmade companies. For these businesses, it’s usually the busiest and most profitable time of year and every sale will make a difference to their overall business success. We’ve been looking through our customer base of small business owners to create an ‘alternative Christmas gift guide’. You can also learn more about each of these businesses on our Instagram feed where we are proud to put customers in the spotlight each week. 1. 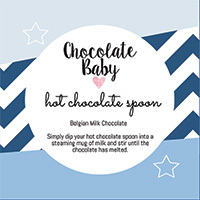 The Chocolate Baby offer a subscription gift with a difference. Imagine getting a delivery of chocolate brownies every single month. That’s what the team at Chocolate Baby offer and their sweet goodies sound and taste delicious. They also have a Christmas gift shop with yummy items such as hot chocolate baubles. Follow @ChocolateBrownieUK on Instagram to find out more. 2. 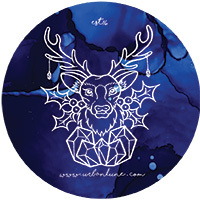 Urban Lune sells in-house crystal candles, infused with organic locally grown flowers, hand poured coconut soya wax and crystal gemstones. These candles are truly a unique experience. Find out more at www.urbanlune.com or check out @urbanlune on Instagram. 3. 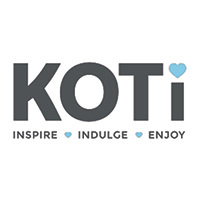 Koti UK create and sell a range of gifts for the home and garden. If you are looking for something a little quirky and different this is a good place to start. From candles to keyrings, home décor to garden designs, you will find something for everyone in this Bury St Edmunds shop. Check out the website kotiuk.co.uk and follow @KotiUKbse on Instagram. 4. 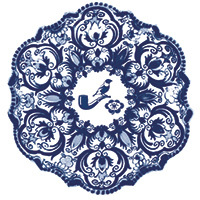 You will find some stunning gifts at Babylonstoren UK online shop. shop.babylonstoren.com/home Babylonstoren products are a reflection of their contemporary, unhurried farm lifestyle. Each item is a labour of love that is nurtured by skilled hands and brought to life by the thoughtful selection of materials and ingredients, many of which are created on the farm itself. Some of the most successful items have happened by chance – through a process of testing and learning, and listening to their most valued customers. 5. Hambleton Ales creates award-winning beer from its base in North Yorkshire. 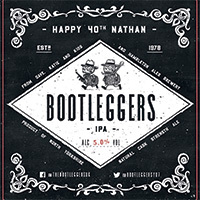 It’s an ideal gift for your friends and family who love real craft ale but require gluten free options. Learn more about the brand by following @hambletonales on Instagram and shop online at www.hambletonales.co.uk. 6. Wild West of Exmoor has a range of Christmas liqueurs and other stocking fillers including their Winter Wolf Whisky and delicious Clementine Vodka. You can find out more by following them on Facebook at www.facebook.com/WildWestofExmoor/. 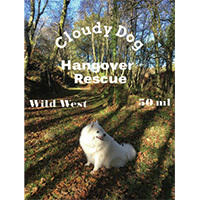 Check out their Cloudy Dog Hangover Rescue. 7. Don’t forget to add your much-loved pooch to your Christmas shopping list. Are you a dog lover who also cares about the environment? 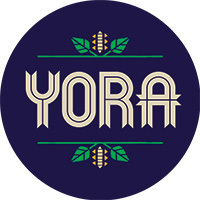 Check out Yora who want to change the world one grub at a time with the world’s most sustainable dog food. It’s something a little different for a Christmas gift. Find out more at www.yorapetfoods.com. 8. 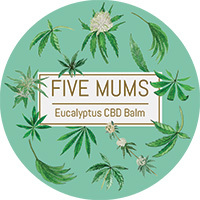 Five Mums is a new partnership of five London mums who have created a range of unique, handmade, high quality cannabinoid products using natural and wherever possible, organic and vegan ingredients. You can find out more and check out the products at www.five-mums.com. 7. Looking for something sweet this Christmas? Honey is a fabulous foodie item to give as a gift or add to a hamper. 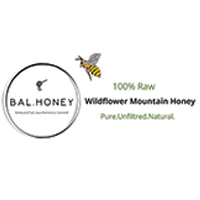 We are proud to print the labels for BAL.HONEY. This honey comes directly from the ecologically clean and pollution free regions of the Central Asian country, Kyrgyz Republic. Over 90% of the Kyrgyz Republic is covered with mountains which makes their honey unique in taste and rich in vitamins and minerals. Find out more about this product at www.balhoney.co.uk/. 10. 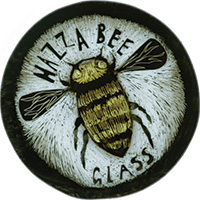 Hazza Bee Glass creates beautifully detailed stained-glass artwork and prints as well as offering commissions. The company is based in Warwickshire, but you can check out the amazing artwork on Harriet’s Instagram @queengitana and email her via Hazzabeeglass@yahoo.co.uk if you would like to learn more. 11. Here’s another idea for those animal lovers. 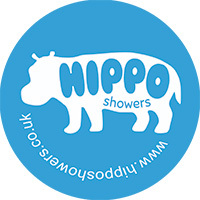 Hippo Showers has a wide-range of animal accessories from cleaning mitts to grooming brushes, as well as their popular portable hot showers. Visit www.hipposhowers.co.uk or follow @hipposhowers on Instagram. 12. We loved hearing how Oliver’s Raw Honey is giving homemade gifts for friends and family and used WePrint labels for their honey jars. 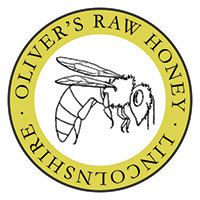 Honey is best straight from the hive and at Oliver’s in Lincolnshire that’s exactly what is happening. This delicious product is pure, authentic and unpasteurised making it a fabulous gift for adding to a hamper or giving to someone as a little extra. For those of you searching for corporate gifts for your clients, why not create something personalised. The team at Creative Nuts were looking for a gift idea to send to their own clients that would showcase their creativity. They wanted to do something a little different that would get noticed and be loved by their clients. 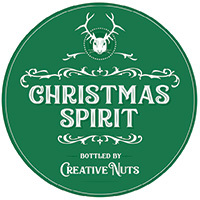 They designed labels on Avery WePrint for some ‘Christmas Spirit’ bottled by Creative Nuts. If you are looking for more gift inspiration, join Handmade Hour every Sunday from 8pm until 9pm and on a Wednesday from 7.30pm until 9.30pm. You’ll have all your Christmas shopping completed in no time.